The Section™ takes the classic skate-style helmet to a new, lighter dimension. 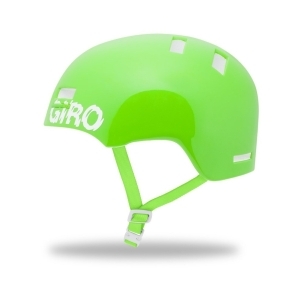 Starting with a straight-ahead low-profile shape, we ditched the traditional ABS hardshell and went with a polycarbonate shell permanently fused to the liner using In-Mold technology, which cuts the weight of the helmet while improving durability. And with three sizes available and a range of vibrant colors, there’s a Section™ to suit almost any size, taste or preference.